Last summer I was inspired by the giant bronze fennel growing in my garden, and I started stitching what was intended to be a set of outdoor placemats. 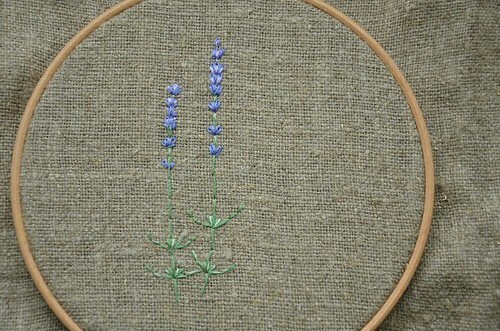 I used sturdy hessian, which gives such a fantastic contrast to delicate stitching (and it's really cheap!). 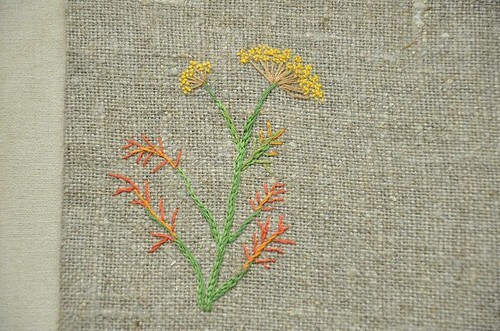 My fennel had such bright orange leaves and golden yellow flowers, and I really enjoyed matching up floss and creating this herb embroidery. I even stitched a teensy weensy bee in the corner of the mat. And then autumn arrived, and the 'set' of placemats was put aside for a while...until last week, actually, when I was pruning my lavender after collecting the flowers to dry. 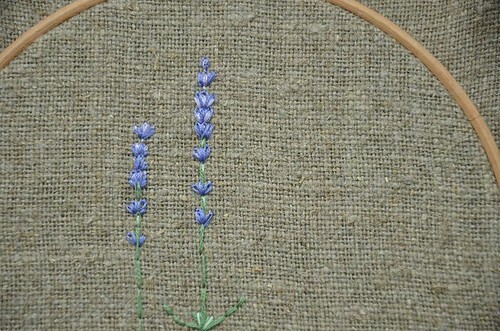 I've returned to this WIP, stitching a lavender placemat using just straight and lazy daisy stitches. Before the summer ends I plan to enjoy an outdoor meal with at least one other person! 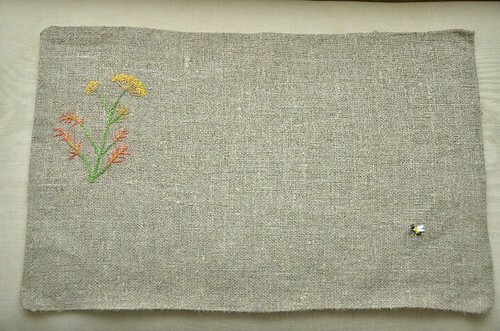 Perhaps next I'll stitch the daisy-like feverfew, or the starry blossoms of borage. C'mon summer, bring back the sunshine, keep me inspired! 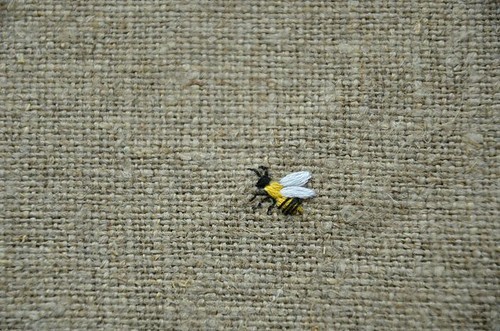 This looks lovely I love the little bee, not used hessian before I might try it on my next project. 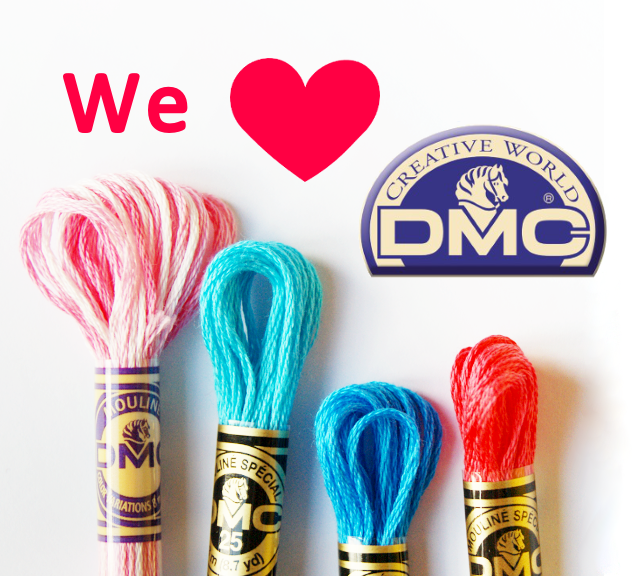 The colors are simply stunning on the burlap - how did you finish the hessian ( burlap ) edges ? Thank you Barbara! I just machine sewed the linen to the hessian, right sides facing, then turned it right-side-out. Nothing fancy!